We’ve been awarded as Eyelash Emporium Crowned Salon. We’re now very proud brand ambassadors. Perfectly groomed brows can create an instant makeover and luscious lashes ensure you wake every day feeling and looking good! Tint. Trim. Wax. Tweeze. After Care Gel. Jane Iredale or Delilah Brow Makeup Application. Using the incredible Lycon Waxing system to remove stubborn hairs, gentle on the skin and virtually pain free! Using the Refrectocil tinting system which is vegan and cruelty free, and has staying power! Various shades available to suit your hair colour choice. THIS IS BETTER THAN LVL. This is a new treatment as lasts better. This is gravity defying lashes. Individual' Lashes are Semi-permanent "Hollywood" lashes, one lash is applied to each of your own individual lashes, lasting 2 - 3 weeks without infills. We use the best supplier of individual eyelashes, The Eyelash Emporium, so you can choose the curl, length and thickness to create a look you love, our lashes are tailor made to suit you! 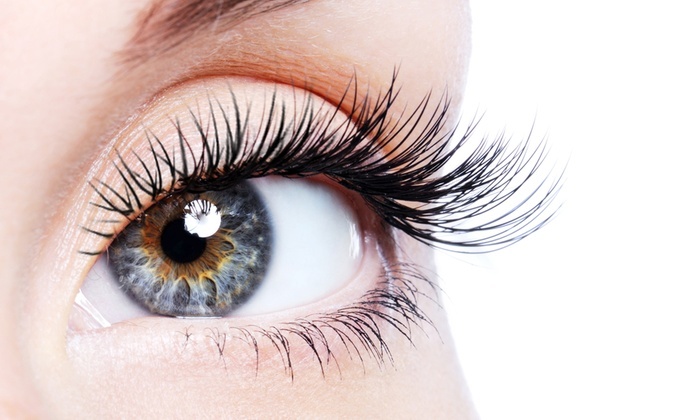 Lash extensions are carried out by a highly trained lash technician. Your treatment times can vary between 60-120 minutes for a full set, dependant on your lash growth. • If you haven't had lash extensions before, we request that you book for a lash consultation 72 hours prior to your appointment so that we may carry out a patch test to ensure our glue is compatible with sensitive skin. This will also give you the opportunity to ask any questions and to go through the desired look, a deposit to be taken and to read through our pre treatment advice leaflet. • The deposit will be taken from the total on the day and fully reserves the booking just for you. It is refundable only with 48 hours notice. • In the event of booking you in for this appointment, we will reserve the booking for seven days, if no deposit is given, we reserve the right to offer your appointment to another client. • Please ensure you wear absolute NO MAKE UP to your lash appointment INCLUDING INFILL appointments. The glue will not bond properly with your lashes and therefore we will not guarantee our work if this happens. This includes: mascara, eyeliner, eyeshadow, foundation, cover up and powder. If there is any makeup around the eye area it means we have to remove it, which means your lashes will be wet, which in turn means the hair structure will be soft and the glue will not bond and will move - lashes will not last long at all. It will be a waste of your time and ours so please ensure no make up on the day to save your time in the future!